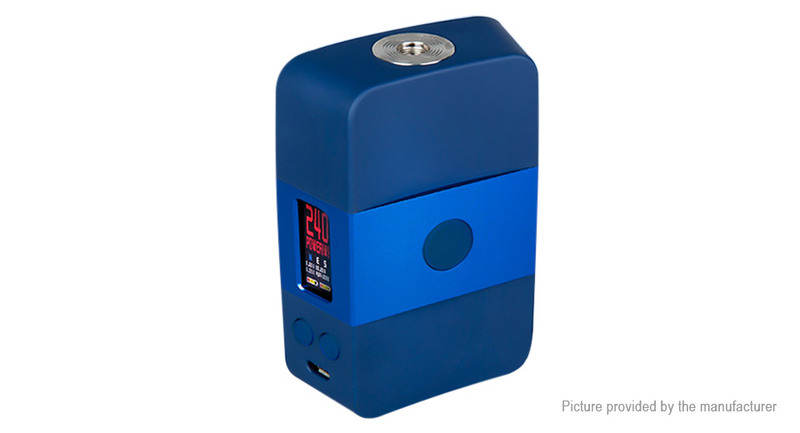 A lightweight, high-performance system made in collaboration between United Society of Vape and VO Tech, the USV ARC 240 presents a timeless design piece with 240W of maximum power and a robust temperature control suite. The entire design of the USV ARC 240W is made of a lightweight ABS construction with a colorful stripe inlay for a striking impression. The ARC 240 integrates the new VO240 Chipset with 32-bit ARM Processor for rapid ramp-up time and plethora of functionalities such as full temperature control, power curves adjustment, and BYPASS mode. Destined to be a vintage box mod design.